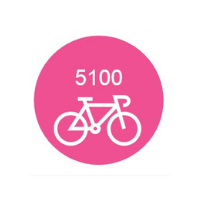 We’ve taken over 5000 cyclists to Paris. Join us and celebrate 20 years of the Action London to Paris ride. Taking the same route as our very first ride 19 years ago, we will be starting with the O2 Arena as our backdrop and riding along the rolling fields and villages of rural Kent. Passing orchards and traditional oast houses we'll tackle the North Downs before taking the ferry from Dover to Calais. Day 2 in France, we’ll head South through ancient Desvres onto Abbeville on the River Somme. Abbeville suffered badly from WW2 air raids, yet its beautiful Flemish-style architecture is still in evidence. The next day we leave Abbeville behind us we follow the River Somme east out of the town in the direction of Amiens. These lands are renowned for the terrible battles of the First World War. Our route soon turns south and we finish the day in Beauvais. Our final day’s cycling takes us over the river Théram and south of Beauvais towards the great capital city, we head towards the small town of Meru and continue south through beautiful countryside bringing us to the suburbs of Paris where we’ll make our way to the big finale under the Eiffel Tower! That evening we’ll celebrate with a few glasses of bubbly before heading out to see the sights of the capital. The adventure concludes with the fantastic opportunity to catch the action of the Tour de France. Do you work for a large organisation or have your own company? Call the Events team on 01403 327444 for more information and support. The ride itself was really enjoyable and allowed us all to bond and create memories we’ll never forget. Couldn’t recommend this event highly enough – perfect for any team or company looking for a expertly run challenge with a great bunch of people. Where is my start point for the ride? At this stage we are unable to confirm the start point in London. Further information and timings will be sent out in due course. What time do we need to register on the day and when do we leave? Registration will be early on Wednesday 24th July. Further information and timings will be sent out in due course.